Toshiba America Business Solutions today announced the availability of its high-speed (12 inches per second) B-EX6 thermal barcode printers. The B-EX6 series can handle virtually any label printing (up to six inches) application for manufacturing, supply chain and logistics professionals. The Toshiba B-EX6 series' distinctive feature set tackles the rigorous and high-production demands of today's users while also supporting a low total cost of ownership. The B-EX6 series features Toshiba's proprietary Ribbon Save1 technology, which optimizes ribbon consumption, reduces waste and underscores the innovative design. A large-capacity ribbon (up to 800 meters)2 lessens the need for frequent media replacement. 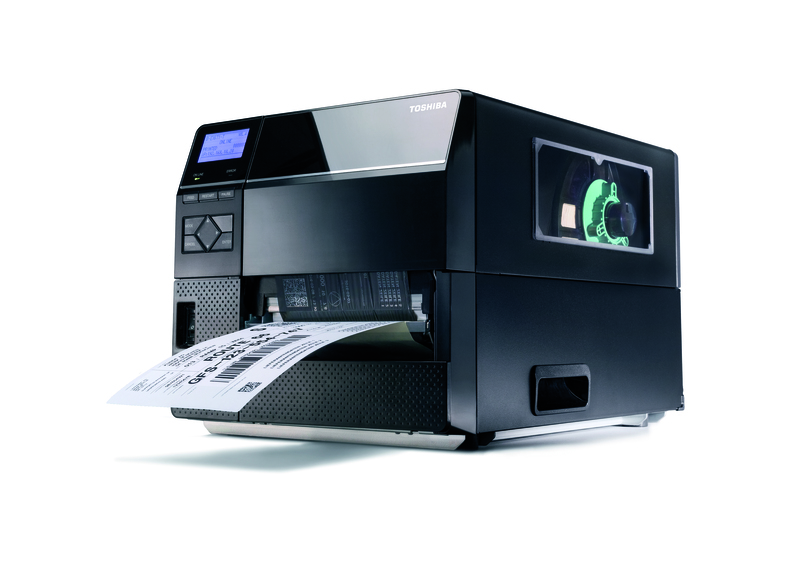 The dual motor system improves media handling while assuring the printing of scannable labels. Toshiba's B-EX6 printheads are also backed by an industry best three-million linear inch warranty. "Our B-EX6 series combines the latest in barcode printer technology with advanced design," said Bill Melo, Toshiba America Business Solutions chief marketing executive. "Our new large-format products round out our innovative thermal barcode printer line, offering Toshiba customers a solution for all of their labeling applications." Toshiba's B-EX6 series is now available for purchase through authorized Toshiba dealers starting at $2,995. To learn more about Toshiba barcode printers or to locate an authorized Toshiba dealer in your area, visit www.business.toshiba.com. The B-EX6 series includes a one-year standard return to depot warranty.